Oil royalties are not passive income. 1. Can Cable for a Business Rental House Be Deducted From My Taxes? 2. How Much Should I Depreciate My Oil Royalties for Income Tax Purpose? If you own land, you actually own three sets of rights -- surface, air and mineral rights. You can sell or lease these rights however you wish. An oil lease gives temporary control of your land’s mineral rights to a lessee, which might be an oil company or a speculator. The lease gives the lessee rights to access your land to explore for and extract oil. In return, you can receive one or more forms of payment, including a bonus and royalties. 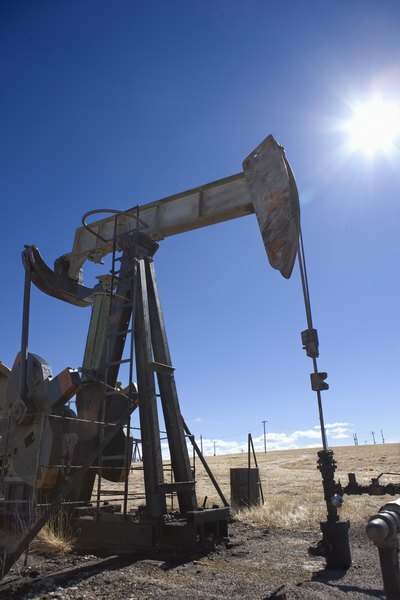 You receive royalties based on how much oil is extracted from your leased property. The normal royalty percentage is 12.5 percent of gross income as measured at the wellhead, although you might be able to negotiate better terms. You receive royalties only on the amount of oil extracted, not on the reserves remaining in the ground. As a royalty owner, you’re entitled to take a depletion tax deduction to account for the reduction of reserves. Depending on your contract, you might also be entitled to other deductions, including severance tax, transportation costs, and processing and marketing costs. Your lessee will provide you with IRS Form 1099-MISC, reporting the royalties it paid you in the previous year. If you have no working interest in the oil well, report your royalty income on Schedule E and include it on Form 1040. If you received a bonus for signing an oil lease, report it as rent on Schedule E. Your Schedule E income is normally not subject to self-employment tax. However, you are subject to self-employment tax if you have a working interest in the oil well. In this case, report your royalties on Schedule C.
You may receive oil royalties without leasing your land. The procedure is called “unitization,” and state laws dictate its use. Under unitization, the geometry of the oil reservoir determines the royalty payments to neighbors of the lessor. Although the driller extracts oil on your property, the deposit might extend to your neighbors’ land, possibly entitling them to a piece of the action. Unitization rules vary from state to state and may also depend on the location or depth of the well. Are Easement Payments Taxable Income? Can I Deduct Homeowner Insurance on a Rental House?